9. 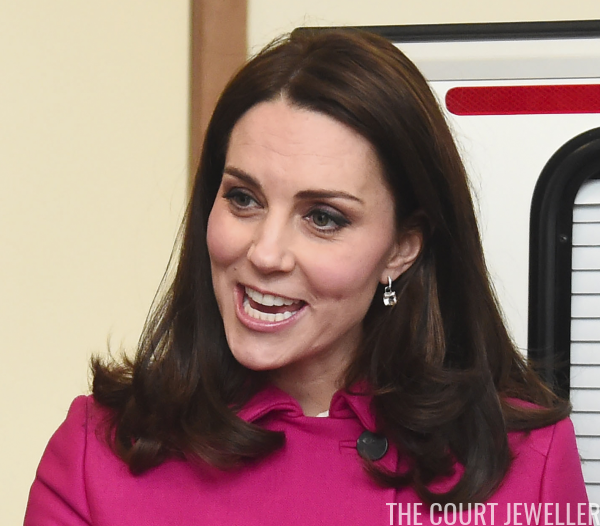 For a day of engagements in Coventry on Tuesday, the Duchess of Cambridge wore her Kiki McDonough morganite drops. 8. Letizia wore delicate floral stud earrings from Yanes on Monday for the Terrorism Victims Foundation Awards at the Reina Sofia Museum in Madrid. 6. 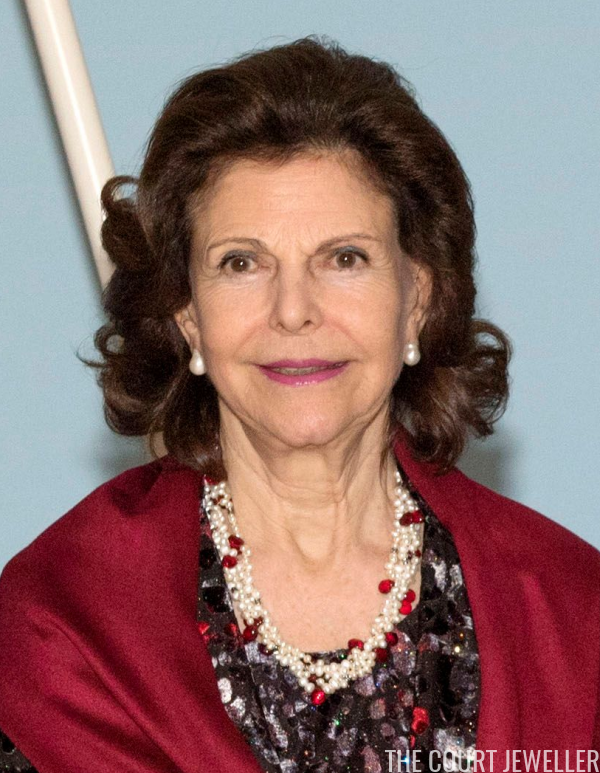 Queen Silvia of Sweden wore pearl earrings with a necklace featuring pearls and red beads for a dinner at the Modern Museum in Stockholm on Thursday during the Icelandic state visit. 5. 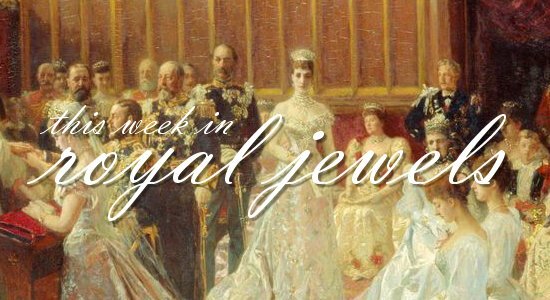 Queen Elizabeth II of the United Kingdom wore a unique brooch on Thursday for a WI meeting; according to Gill at the RJWMB, the brooch hasn't been seen since the 1980s. 4. 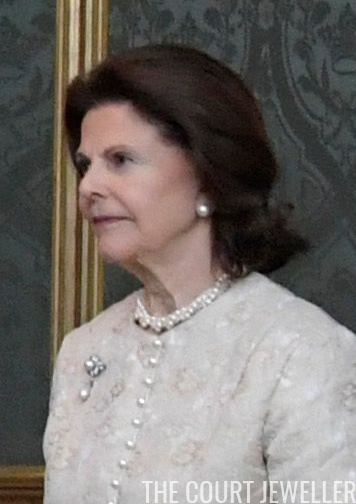 Pearls, including a family pearl cluster and pearl drop brooch, were Queen Silvia's choice on Wednesday to welcome the President and First Lady of Iceland for their state visit. 3. 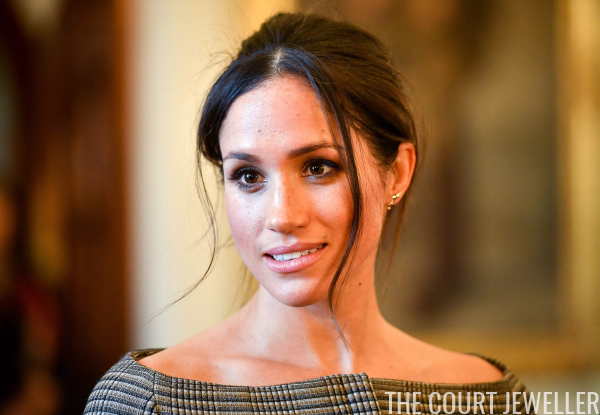 Queen Maxima wore her gorgeous emerald and diamond earrings with the family's diamond and emerald butterfly brooch for a visit to the organic trade fair in Zwolle on Wednesday. 2. 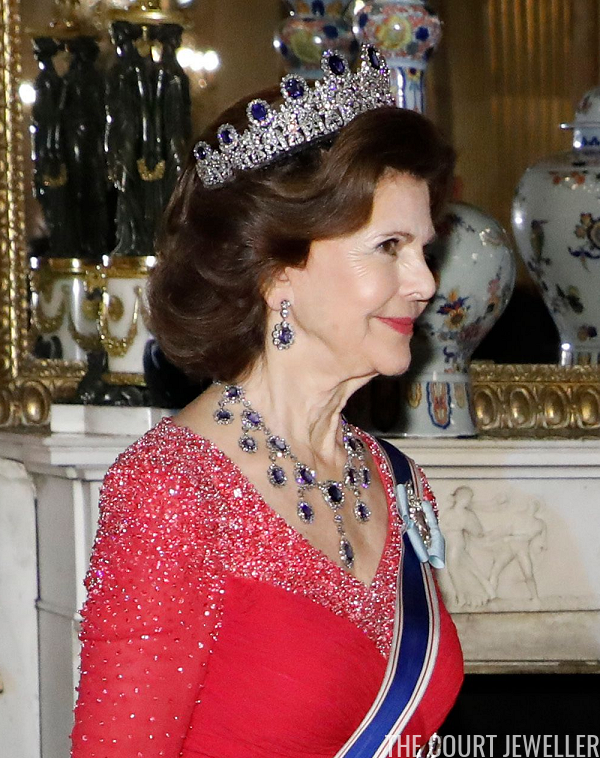 On Wednesday evening, Princess Sofia wore the new pearl setting of her wedding tiara with pearl drop earrings for the Icelandic state dinner.